Abstract: Objective： To explore the influencing factors of elderly outpatient visits and to provide evidence for poverty reduction in health in the poor rural areas. Methods: Through stratified sampling, a total of 1 271 aged people in four poverty Qi/County of Ulanqabcity were surveyed, including Qahar Right Wing Front Banner, Qahar Right Wing Middle Banner, Qahar Right Wing Rear Banner and Liangcheng County. Their socio-economic and demographic characteristics, daily consumption, EuroQol five dimensions questionnaire(EQ5D) and visual analogue scale(VAS),social support, health service needs and utilization were collected through cross-sectional household questionnaires. 1 039 aged people who had experienced physical discomfort in the past 30 days were selected as subjects for the study. The differences between the groups were analyzed by chi-square test. A Logistic regression equation and a decision tree of elderly visits were built to find factors influencing decision-making of the aged. Results: The average age of the research subjects was 71.8 years, with 52.2% being illiterate and 85.8% with middle social support. 58.5% of the subjects living with their spouses, mostly living in 15 min medical circle and without any financial support from their children. The 30-day visiting rate when having physical discomfort was 31.0%. The chi-square test showed that the differences in visit rates among age, ethnic, residence patterns, daily consumption index, housing types, social support scores, grown children’s economic assistance, travel time to medical institutions, and health self-assessment scores were statistically significant. Compared with Logistic analysis, the decision tree showed lower error rate of classification. Logistic regression model’s error rate of classification was 31.4%,showing that the differences in visit rates among age, ethnic, residence patterns, daily consumption index, social support scores, travel time to medical institutions, and health self-assessment scores were statistically significant. The decision tree model’s error rate of classification was 28.6%, showing six main influencing factors, including the travel time to medical institutions, cohabitants, education level, age, whether adult children provide economic support and social support score. The importance of these predictors were 0.42, 0.21, 0.13, 0.11, 0.07 and 0.06, respectively. Conclusion: In poor rural areas, medical resources, economic affordability, family and individual socio-demographic characteristics are the key factors affecting decision-making for the aged. It is necessary to integrate the improvement of the health care of the aged into the overall development of the society. And comprehensive interventions should be adopted to improve the outpatient utilization for aged in poor rural areas. ZHANG Yi-xiao, FENG Wen. 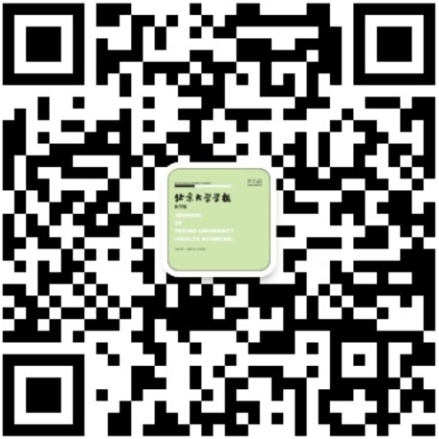 Decision tree analysis in determinants of elderly visits in poor rural areas[J]. Journal of Peking University(Health Sciences), 2018, 50(3): 450-456. 景日泽，章湖洋，徐婷婷，张鲁豫，方海. 北京市三级公立医院效率及其影响因素[J]. 北京大学学报(医学版), 2018, 50(3): 408-415. 邢国刚, 刘风雨, 姚磊, 万有, 韩济生. 神经病理痛大鼠脊髓背角突触传递的长时程可塑性变化[J]. 北京大学学报（医学版）, 2003, 35(3): 226 -230 . 马庆军, 党耕町, 刘忠军, 陈仲强, 刘晓光. 脊柱骨巨细胞瘤36例诊断与治疗[J]. 北京大学学报（医学版）, 2002, 34(6): 656 -659 . 吕筠, 詹思延, 秦颖, 李群娜, 郭晓霞, 曹卫华, 逄增昌, 薄涛, 胡永华, 李立明, 刘雅诚, 霍振义, 梁国栋. 流行病学研究中的双生子卵性鉴定[J]. 北京大学学报（医学版）, 2003, 35(2): 212 -214 . 方伟岗, 李红梅, 孔灵玲, 牛桂莲, 高庆, 周可祥, 郑杰, 吴秉铨. 肿瘤侵袭转移过程中基质金属蛋白酶作用机制系列研究[J]. 北京大学学报（医学版）, 2003, 35(4): 441 -443 . 李玲, 张波, 邹万忠, 郑杰. P53与端粒重复序列结合蛋白质1的体外相互作用[J]. 北京大学学报（医学版）, 2004, 36(5): 510 -513 . 郭丹杰, 贾媛, 胡大一, 刘健, 李琪, 王伟民. 冠心病患者平板运动试验Duke评分与冠状动脉造影校正的TIMI帧数的相关性研究[J]. 北京大学学报（医学版）, 2007, 39(6): 595 -598 . 张京华, 沙月琴, 曹采方. 不同刷牙方法清除菌斑效果的对比[J]. 北京大学学报（医学版）, 2005, 37(5): 542 -544 . 李萍萍. 国外肿瘤替代/互补医学研究进展[J]. 北京大学学报（医学版）, 2006, 38(6): 579 -580 . 刘宏胜, 白小文, 杨媛, 葛立宏. 人类年轻恒牙牙髓干细胞体外多向分化的能力[J]. 北京大学学报（医学版）, 2007, 39(1): 41 -45 .